Wine lovers are familiar with the concept of aging wine. 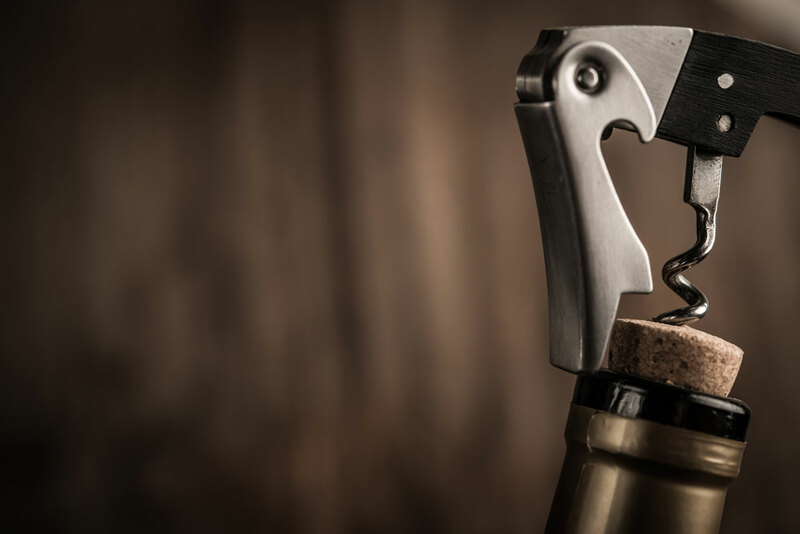 We know that older bottles can improve and that some people invest time and money in cellars for the purpose of keeping wines for years at a time, but what actually happens to wines when they get older? Do they all improve with age? What is it about an older wine that makes it so desirable? Spoiler alert: many of them don’t actually improve as they get older, but all wines undergo change. This article will go over the aging process so you can know what to expect when looking at bottles of various ages. As red wines age, they become lighter. 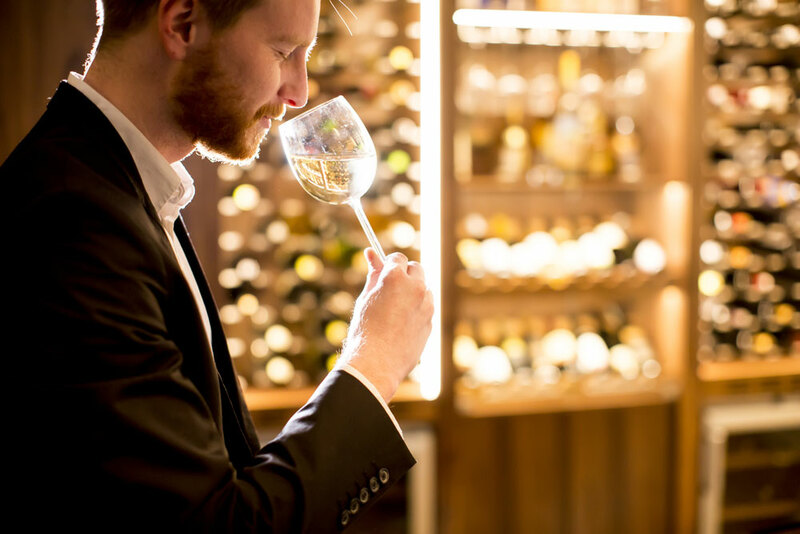 For white wines, the opposite happens; they become darker as they get older. Red and white wines, given enough time, will both end up the same medium amber color. People who like deeply colored red wines are more likely to enjoy young wines because they haven’t yet begun to lighten with time. For more information on the colors of wine, see our previous post. Some of the flavors in wine come from the grapes themselves as they grow in the vineyard. These are called “primary flavors” and mainly consist of fruit notes. 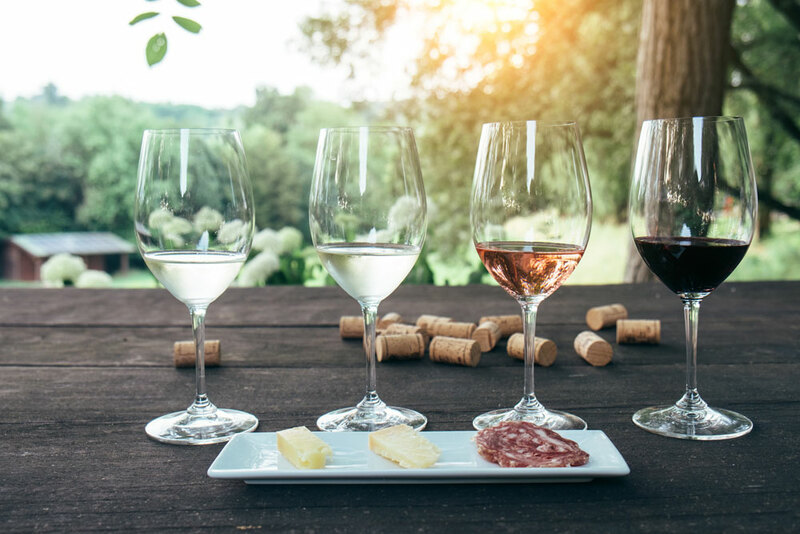 Other taste elements come from the winemaking process and are referred to as “secondary flavors.” Secondary flavors include oak, butter, vanilla, etc. As wines age, primary flavors fade and a new set of tertiary aromas begin to emerge. Examples of tertiary characteristics include leather, tobacco, dried leaves, coffee, and dried or stewed fruits. Generally, the older a wine is, the more tertiary flavors it will have and the fewer primary flavors. Tertiary flavors are not as popular in white wines as they are in red, so whites are not typically aged for long periods. 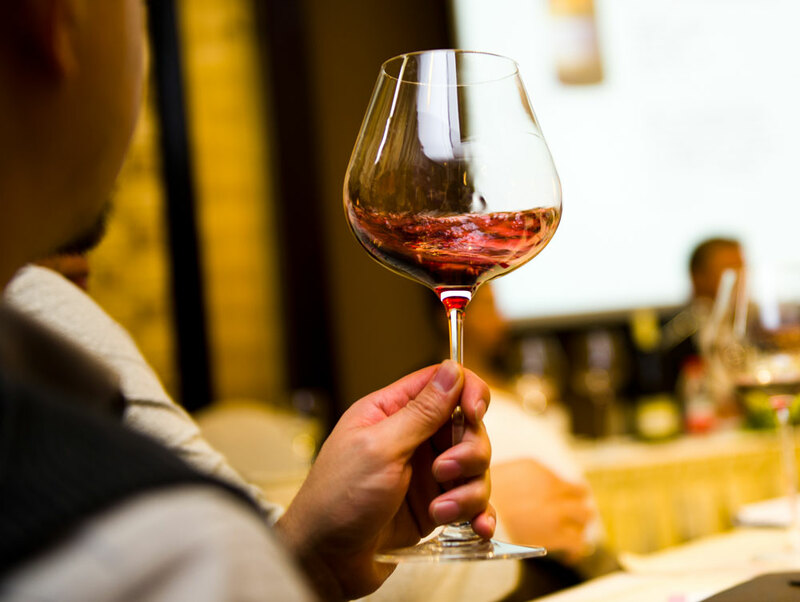 Even red wines are valued more if they still contain at least some primary flavors. Wines without primary fruit are often considered too old for consumption, but those with a good balance of primary and tertiary are highly prized. Over time, tannins in wine tend to precipitate out of the liquid and for solids on the bottom of the bottle. These solids are called sediment and are discussed in more detail in our post on decanting. As the tannins fall out of the wine, the structure becomes smoother and less harsh. Historically, many red wines were too tannic to enjoy early in their life and had to be aged for many years before they moderated enough to drink. Modern techniques result in wines that are softer in their youth, making bottle aging less necessary than it used to be – unless a winery embraces more traditional methods. Some of the wines still aged before consumption include Brunello, Barolo, some Bordeaux, and Rioja. Often, these wines are aged before they are released for sale but can still benefit from further time in your cellar. Many wines on the market today are meant to be drunk within a few years of release and will lose value over time. Some fine wines, however, can be cellared in good conditions for a decade or more, like Port, Madeira, and Sauternes. Some wines will increase in value over time, but most will decrease. It’s important to point out that older wines are not necessarily better wines. Many excellent bottles are meant to be consumed while relatively young. Not everything changes during the aging process. Acidity, alcohol, and sugar, for example, remain the same throughout aging. Basically, wines that are tart, highly alcoholic, or sweet will remain so throughout their life – though their relative strength might seem to increase as the tannins diminish. These observations are sensory, rather than scientific, since the actual chemical changes in wine are quite complex. Some wines age quickly and some age rather slowly. Port, for example, lasts for a long time and changes don’t become apparent for many years. Factors that help a wine to age more slowly and, therefore, for a long time, include tannin, acidity, sugar, and alcohol. Wines that are high in any or all of these elements are better candidates for aging. How long should a wine be aged? That depends on the taste of the drinker. Some people like wines fresh, with plenty of primary flavors, while others enjoy wines that some might find to be too old. If you’re interested in older wine, try buying a bottle that’s been cellared in advance. The wines of Rioja in Spain are particularly ideal since their laws require the wines to be aged before release. If you like wines aged in advance, you can buy and cellar some of your own. 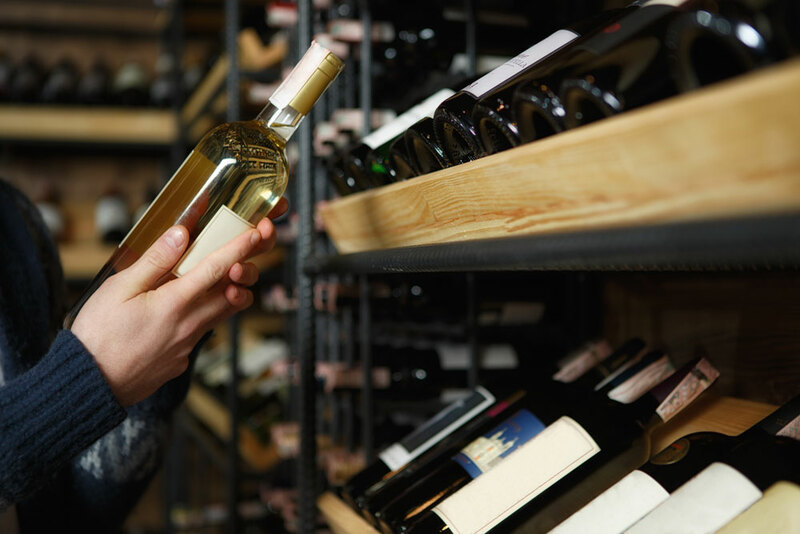 I recommend buying multiple bottles and opening them systematically every so often over time to see how they change – perhaps one bottle each year. You’ll find that the hunt for a perfectly aged bottle is elusive but irresistible. Enjoy the journey!